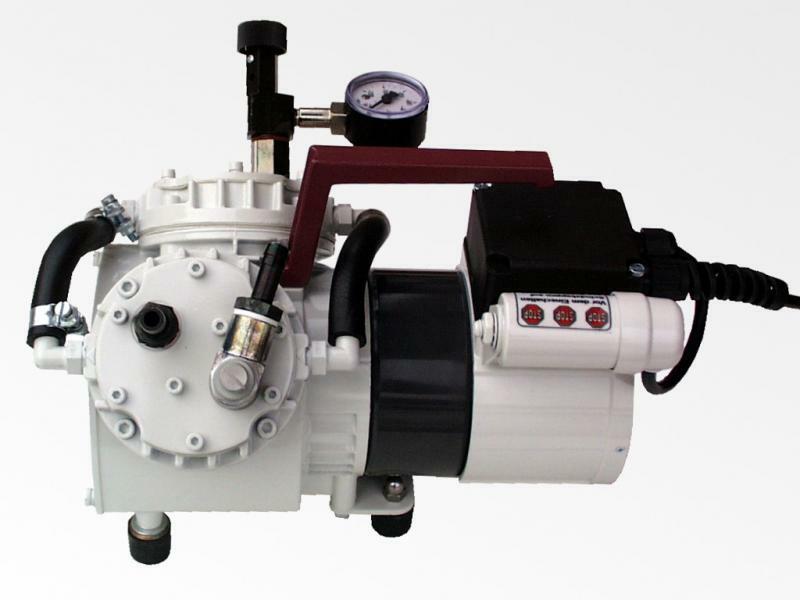 The double-headed German-made diaphragm pump is extremely durable, maintenance-free and oil-free. 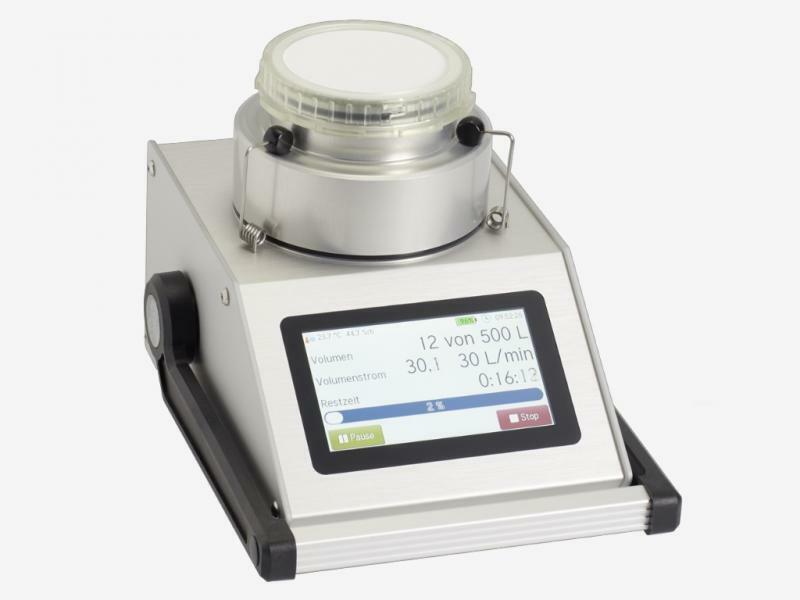 The throttle valve mounted on the suction side allows to set the desired volume flow ranging from under 1 l/min to 35 l/min (at atmospheric pressure). 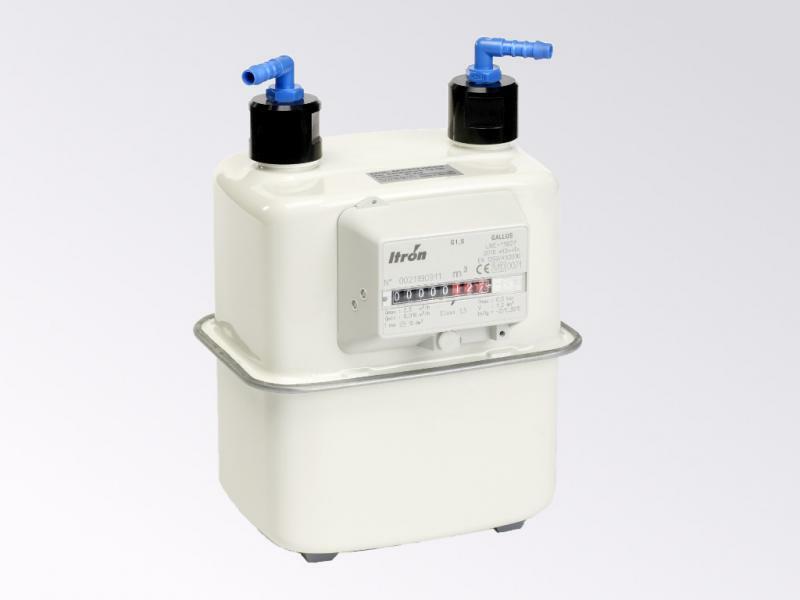 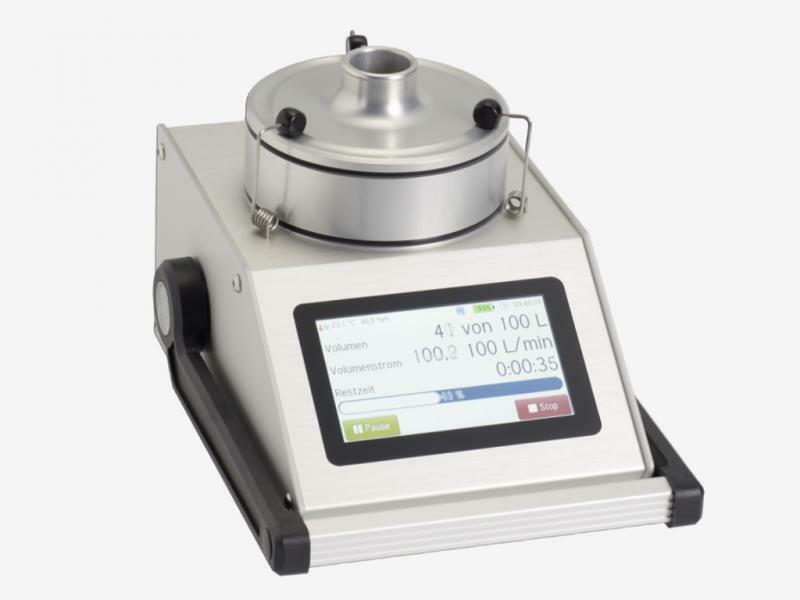 The hose connector on the pressure side allows the connection of the Gallus 2000 gas volumeter for calibration purposes and chemical air sampling. 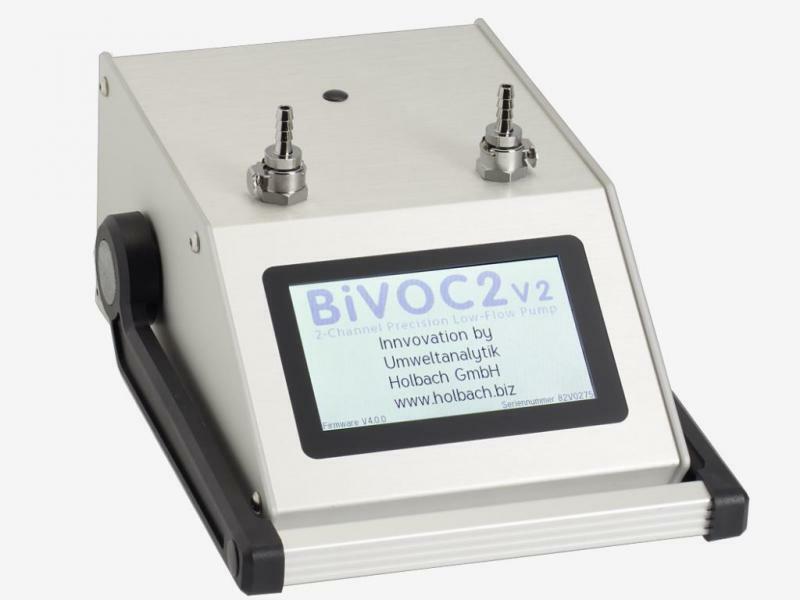 For taking samples on TENAX and other low-flow sample media, we developed the BiVOC2V2, a compact battery-powered 2-channel sampling pump. 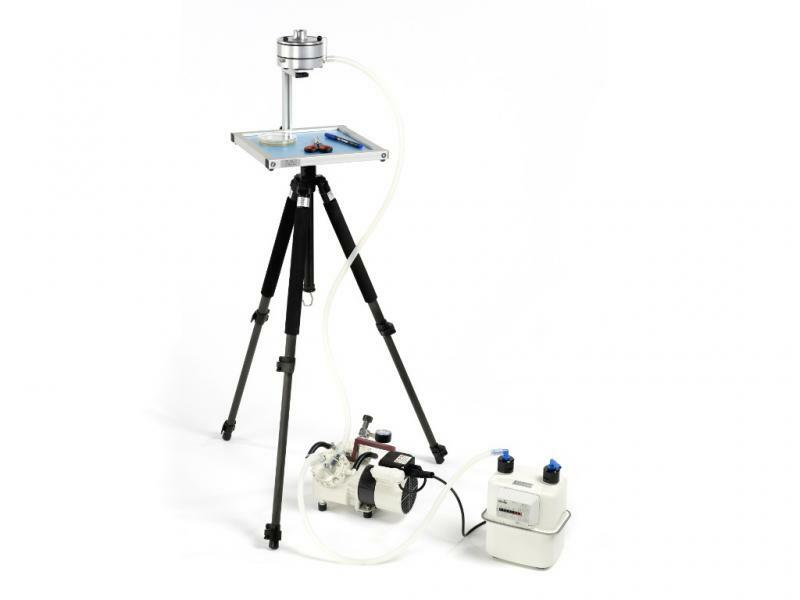 Note: Loading of 5 cm PU foam cylinders is also possible with MBASS30V3 together with the transverse adapter for the air sampling heads.